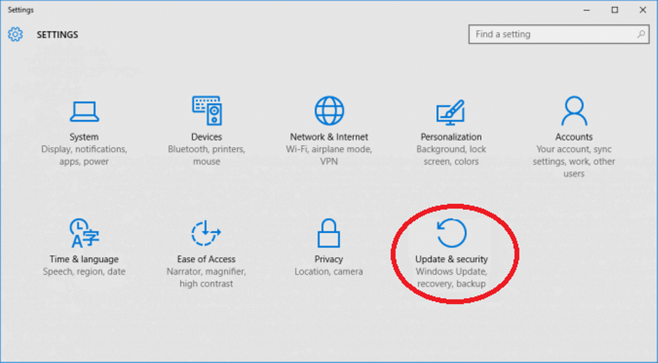 Home » Tech Tips » Windows 10 » How to Reset and Repair Windows 10? 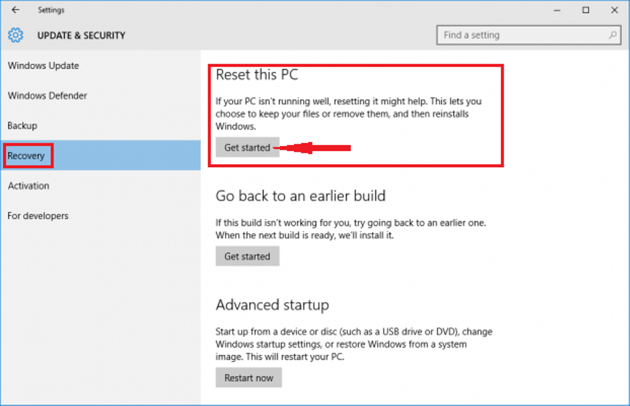 How to Reset and Repair Windows 10? Windows 10 is arguably one of the widely used operating systems worldwide due to its numerous tools and features. However, it can run to various problems such as failing to boot, blue screen of death and corrupt system files among other issues. If you are experiencing such issues, repairing Windows operating system will help to resolve the problems. 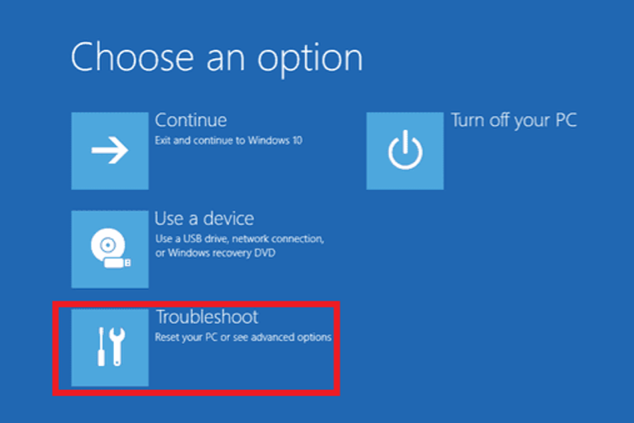 In this guide we will explain you how to reset and repair Windows 10. If your Windows 10 doesn’t boot correctly to take you to the desktop or login screen, Windows 10 startup repair tool may help to fix the problem. Follow the below instructions to use this option. Step 1: The first thing is to access the Windows Recovery Mode to access the startup repair tool. There are several ways to do so depending on the situation. 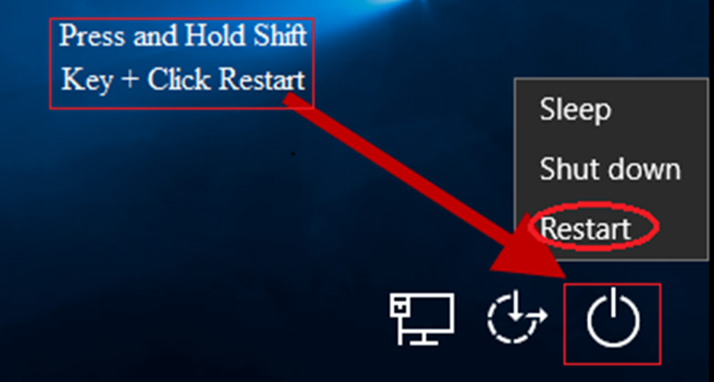 Use Shift + Restart –If the system can boot to the login screen, press-hold the ‘Shift’ key on your keyboard and then click on the power button on the login screen and select ‘Restart’. Interrupting the boot sequence – Press the power button to start your PC and long press the power button to stop the booting process. Repeat the same procedure for two consecutive times. By default Windows 10 will automatically initiate the Automatic Repair Mode after third interruption. You should click on ‘Advanced Options’ to access the startup options. Hit F11 Key – For most computers, hitting the F11 key on the keyboard as soon as you power up the device will get you to Advanced Startup Options. Using a Windows 10 installation disk or a bootable USB drive – Boot Windows 10 from a bootable media (DVD or USB), click next and then select the repair options. 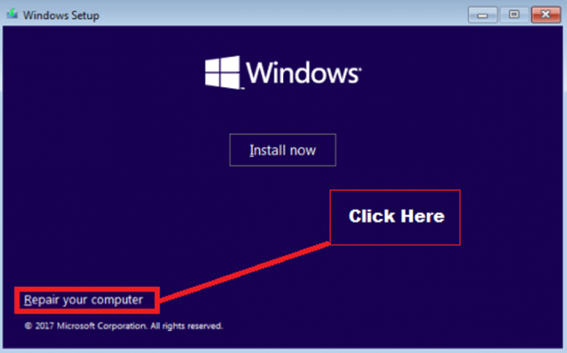 You can learn more how to create ISO boot USB for Windows 10. Step 2: From the startup option menu, select ‘Troubleshoot. Step 3: Click on advanced options to access the startup repair tool. Step 4: You will get a list of tools under advanced options. 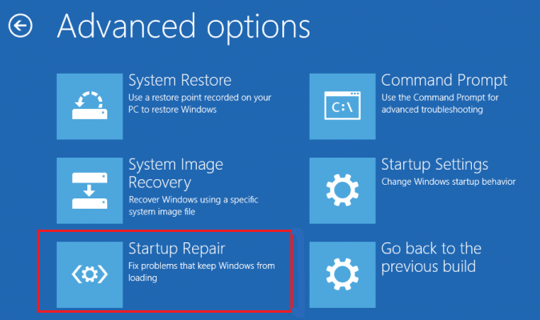 Click on ‘startup repair’ option and wait as the windows automatically fix the startup problem. This method will scan and fix booting related problems, and the system will reboot correctly. 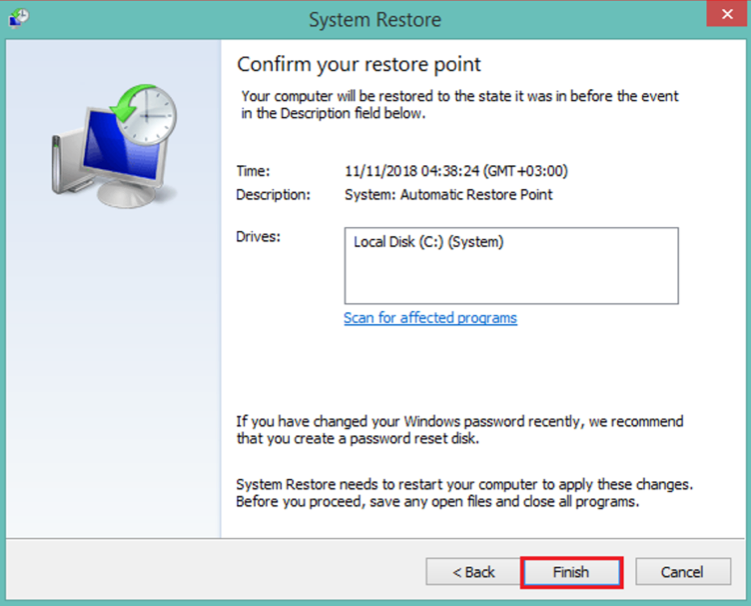 The system restore option detects and reverses changes in drivers, applications, settings or system files taking back your PC to a previous working status (restore point). If you cannot login to Windows, follow step 1 to 3 in option 1 above and select ‘system restore’. If you can login to Windows 10, type “system restore” in the windows 10 search box and open the system properties panel. 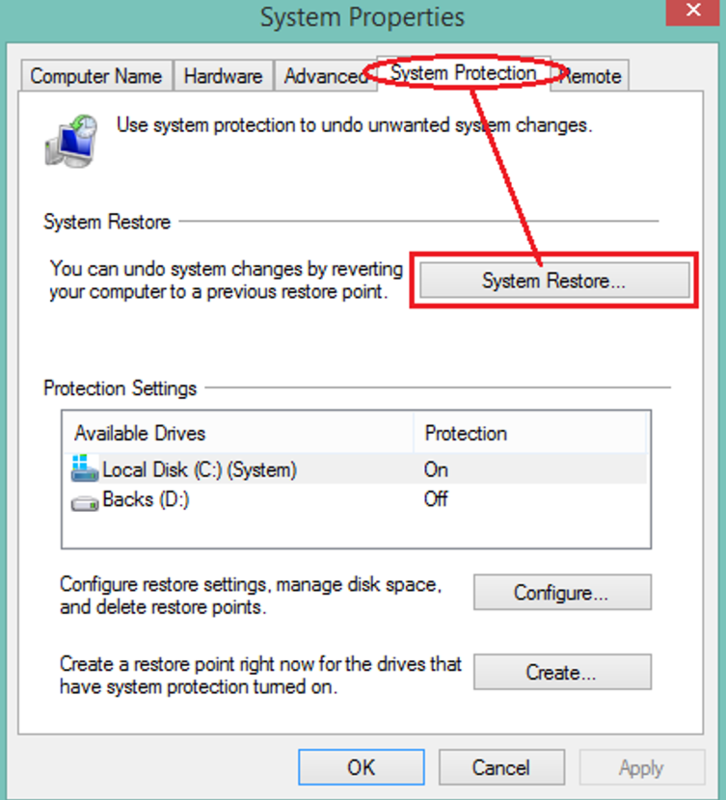 Step 2: Under the ‘System Protection’ tab, click on ‘system restore’ to open the Windows system restore wizard and click next to see the list of available restore point. Step 3: Select a restore point from the list displayed based on how far you want to revert and click next. You may view the affected applications by clicking on “Scan for affected programs” button. Step 4: Click Finish and wait for the system to go back to a previous working state. If the system restore doesn’t solve the problem, you can use the PC reset option. This alternative restores the system to its default settings with the option to keep your personal files. 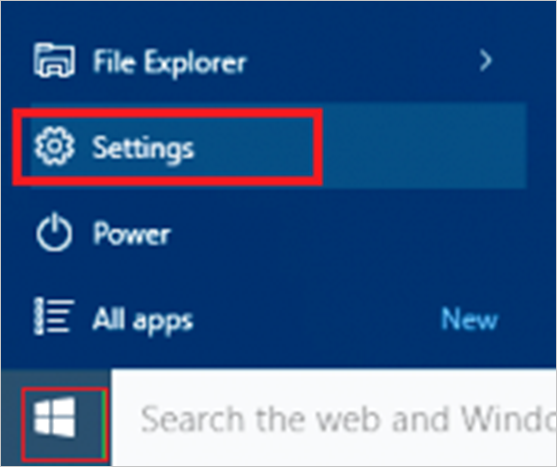 Step 1: Click on the Windows 10 start menu and select ‘Settings’ – the gear icon. Step 2: Click on “Update and security”. Step 3: On the left-hand side, select ‘Recovery’ from the menu. Windows 10 will display three options; Reset this PC, Go back to an earlier build and advanced startup. Step 4: To reset your PC, select “Get Started” under ‘Reset this PC’ option. Step 5: Choose whether you want to keep or remove personal files. Remember, whether you choose to keep or remove the file, the reset option will uninstall all programs and updates and return all the settings to default. Step 6: Choose between deep disk cleanup or just remove your personal files. Selecting ‘Remove files and clean the drive’ makes it hard to recover the deleted files. However, this may take a little longer. Step 7: You will see a warning message. Click ‘Next’ to prompt the reset wizard. 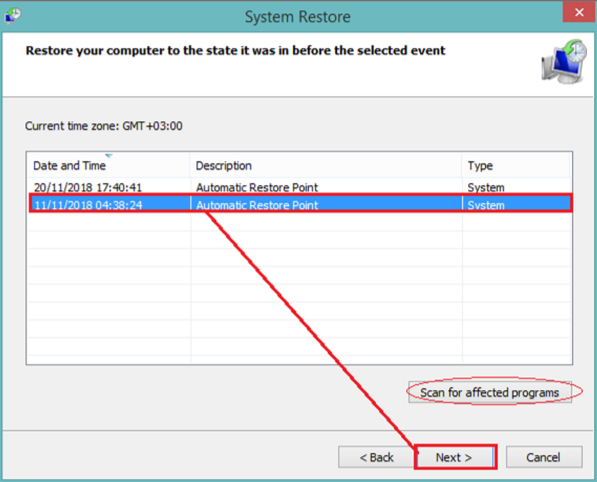 Select the ‘Reset’ button and wait for Windows to restore the system to default. Step 8: Upon completion you will be prompted to exit and continue to Windows 10. Choose continue to load the Windows. Windows 10 provides various ways of recovering from system errors. Depending on the situation, you may choose to automatically repair the issues or restore the PC to a known previous working point. You may try one option after the other until the underlying problem is solved.